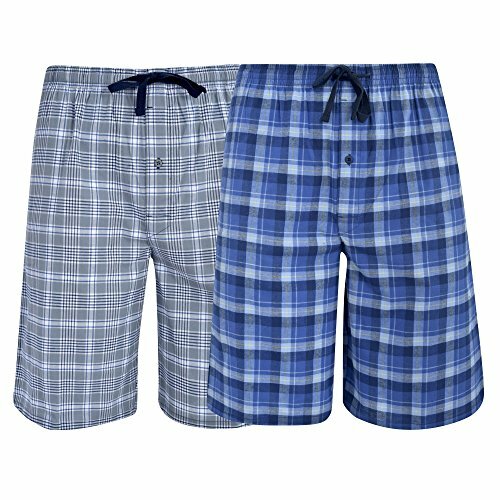 Hanes Men's Big Men's Woven Stretch Pajama Shorts 2 Pack Blue Grey Large | What Should I Say? The Hanes Men's & Big Men's Pajama Shorts are back and better than ever - this time, with added STRETCH. The shorts are tagless and made of our new Comfort Flex Fabric.